If you missed it, American behemoths Mondelez (formerly Kraft Foods) recently ruined the Creme Egg. They took the pinnacle of ovoid chocolatey perfection and they stomped on it with army boots. They basically set fire to Easter. After visiting several newsagents shamelessly selling old stock, we finally got our hands on the new Creme Egg, with its Yankee-doodle-candy formula: a thinner shell made from cheap, substandard chocolate in place of Dairy Milk. It’s rubbish. But it doesn’t matter, because it’s only temporary. We’d bet all the Creme Eggs in the world (and heck, throw in the Yorkies too) that the ‘new’ Creme Egg is, in fact, a marketing stunt. A PR game. A cynically-crafted sales-manipulator. It’s a tried-and-true tactic, started accidentally by Coca-Cola in the 1980s when they introduced a new recipe. 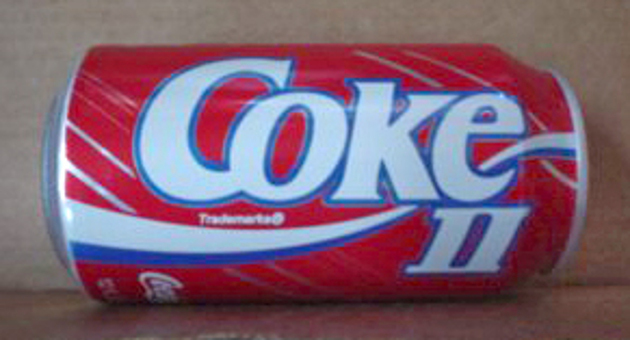 New Coke, as it was bitterly labelled by the public (Coca-Cola still called it Coca-Cola), was considered an un-American abomination of the nation’s favourite drink. So great was the outrage that within three months, Coca-Cola was forced to bring back ‘old’ Coke in the form of Coca-Cola Classic, sold alongside the new version. This news was so momentous that ABC interrupted a TV programme to break it. While Classic Coke mostly placated the over-caffeinated, baying mob, Coca-Cola eventually scrapped the new formula (by then called ‘Coke II’) and dropped the ‘Classic’ name from the original. At the time, this was a humiliating defeat. A grovelling backtrack. Now, it’s a marketing strategy. Why? Because in fighting for their beloved sugar-water, the US public turned Coca-Cola into a symbol of their identity, the red and white in the flag. Their rightfully-restored Coke recipe became enshrined in American identity in a way Pepsi can never match. Not even if it released an Apple Pie variant. Since then, scores of companies have ‘done a New Coke’. Coco Pops changed their name to Choco Krispies, then back again. Pepsi released Pepsi Throwback, using their first recipe. Gap unveiled a terrible new logo, then took it back. Most egregiously, Vegemite unveiled a variant called iSnack 2.0 (no, this wasn’t on April Fools’ Day), faked shock at the public backlash, then renamed it. Notably, this was also Kraft. Call me cynical, but I think Creme Egg 2 (Electric Boogaloo) is the same deal. A naff new recipe, a quick rehashing of the American Revolutionary War played out on social media (“Damn Americans, ruining our chocolate!” “Darn Brits, this is why your teeth are so bad!”), and a faux-grovelling capitulation to the public love for Creme Egg. Followed by a surge in sales. But wait. It’s coming up to Easter (in chocolate manufacturers’ eyes, anyway). Wouldn’t it be smart to wait for everyone to give up sugar for Lent, hang back until they’re gagging for chocolate, any chocolate – then come storming back with the Creme Egg they’ve always known and loved? A resurrection at Easter? Now that really is original.